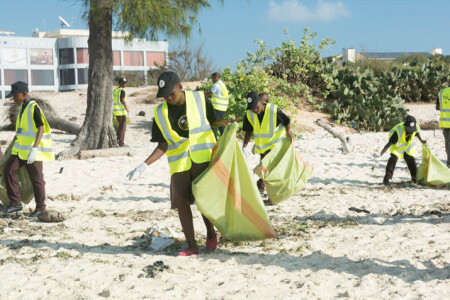 The numbers from the International Coastal Cleanup at Coco Beach earlier this month are in. On September 19, over 200 people collected 1,387 kilograms of trash along 782 metres of coastline in just 2 hours. The top five trash items gathered were: plastic bottle caps, food wrappers, shoes, plastic bags and large chunks of polystyrene. An estimated 10,308 plastic bottle caps, 1,986 shoes (not including 774 flip flops,) 1,942 plastic bags and 102 syringes were bagged and binned. Let’s not forget to mention over 200 diapers, 175 hair pieces, 88 condoms and 15 baby pacifiers. “As the city’s most valuable playground, Coco Beach deserves a little more respect,” says public advocacy group Nipe Fagio. 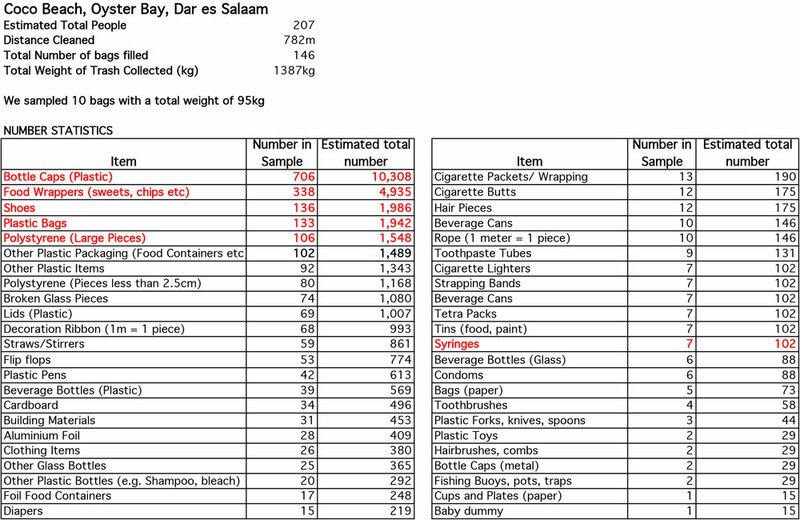 The estimated figures were calculated by randomly sampling 10 of the 146 bags of trash collected. Want to get involved? There will be monthly Coco Beach Cleanups from 08:00 to 10:00 every second Saturday of the month.